Reboot Congress: John Brunner: A Free Range Chicken in Every Pot! Agricultural issues are important to every Midwestern state, so the three candidates running in the GOP primary for US Senate from Missouri--Todd Akin, Sarah Steelman, and John Brunner--need to prioritize agricultural issues if they hope to secure the votes of rural Missourians in the August primary. That's especially true this year. Conservative Missouri farmers remember with disappointment the narrow margin of victory in 2010 of Proposition B which regulates certain animal breeding techniques. That ballot initiative was so controversial that after the voters approved it, the state legislature struck a compromise with Democrat Governor Jay Nixon to amend it to mitigate the initiative's regulatory impact. With that in mind it came as a surprise to me that Republican US Senate candidate John Brunner appears to have once supported a radical animal rights group. According to the Brunner Foundation's 2008 form 990-PF (embedded below), the Foundation donated $10,000 to the Humane Farming Association (HFA). John Brunner and his wife serve as the two trustees of that foundation, so, does Brunner support the leftist agenda of HFA? The responsible use of antibiotics, hormones, and other chemicals serves two purposes. First, it promotes the health and welfare of the animals which insures a successful agri-business and, second, it keeps consumers safe. Does Brunner want to outlaw or over-regulate the use of antibiotics and pesticides? If not, why did he donate to HFA? The Brunner funded HFA also supports outlawing cage-raised poultry. Such a policy would drive up the cost of the eggs and chickens you buy at the grocery store because the new regulations HFA espouses would force farmers to change their farming practices increasing the cost of production. HFA seems to be advocating policies that would ensure that every chicken sold in the country is a free range chicken. The fact that Brunner gave thousands of dollars to this radical group is extremely disconcerting. It suggests that either he does not understand the importance of Missouri agriculture or that he uncritically accepted HFA's anti-agriculture propaganda. This raises serious questions. Why did he donate $10,000 to a radical, leftist animal rights group? How does he in good conscience fly around the state of Missouri touting his support of farming while financing a radical group like HFA? And, most importantly, does he support their radical agenda? Thanks to MoSenateRace for linking and providing excellent follow-up! 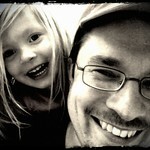 Also, thanks to Bob McCarty and Gateway Pundit for picking up the story! I've placed copies of the Brunner Foundation's form 990-PFs from 2008 thru 2010 on Scribd. The 2008 990 is embedded below. Ya know, this is a difficult issue. I believe absolutely, in cooling it on additives given to cows and also added to meats for many reasons. What goes in must go into us! And, all farm animals, should run free with proper nourishment and care, even at death. And I certainly do not condone gestapo techniques to enforce such things, nor the huge financial burden for farmers to switch involuntarily, but slowly, over the long term. I prefer suggestions over laws on those specific things. And customer demand can, and does, dictate much of this. I forwarded this to the campaign so as to get a response. I think that any candidate should be able to respond to any allegation or supposed fact. I know that Brunner gets a lot of his endorsements from the agricultural community. I also don't think that this is entirely bad like patriotsoul pointed out. It has been proven that free range chickens, cattle and hogs are better than those raised in confinement. But it is all about profit, it is cheaper to feed and contain them in a small area which is also less humane for the sake of producing them cheaper while sacrificing nutrition. *NOTE: This is an update. Please disregard the previous release as this is the most current and only official statement. The information is good but there is no trend here to indicate that Brunner supports the radical animal rights agenda. 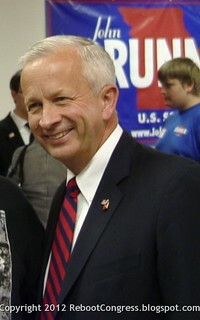 John Brunner has a consistent and reliable track record of supporting property rights, economic freedom and conservative candidates. Those are the trends that do the telling. Here are some other telling trends about John Brunner. The report listed above says that John Brunner gave away $359,000 of his own money to all kinds of charities including $10,000 to The Glenhaven Youth Ranch and over $250,000 to religious ministries! It says that John Brunner also gave money to organizations such as the St. Louis Crisis Nursery, St. Louis Children's Hospital, Saint Louis Zoo and over $17,000 to St. Joseph Institute for the Deaf which helps kids that have hearing disabilities. That report shows that he also gave to Veterans organizations like the Freedom Foundation and Paws for Purple Hearts (which is pretty self explanatory). The report shows that John Brunner and his wife, Jan, give to a multitude of Christian, charitable and Veteran based organizations with money they earned building a manufacturing business. Thank you John and Jan Brunner for being benevolent with the fruit of your labor, had it not been for the $359,000 you freely gave to charities that year, Senator McCaskill might have tried to raise our taxes to "take care of us." Brunner's response, is the kind I expected from him. It is ao easy for children to be emotionally cooed, as well as uninformed individuals. I was no different when I was a child. Thanks John B. It's much appreciated. First, the use of battery cages for egg laying hens dates back at least to 1931. That is not to say that the practice should go unregulated, but that it is certainly not something introduced by "big agri business". As for antibiotics and the like, I think that while some regulation is required, I'd really rather see labeling that identifies what my food has been treated with. While I appreciate Brunner's statement, I think it's a bit weak. MoSenateRace does an excellent job of explaining why it's an inadequate response. And, Paul, you're absolutely right. The $10k to HFA pales in comparison to the many larger donations to much worthier causes. Curtman: "The information is good but there is no trend here to indicate that Brunner supports the radical animal rights agenda." There is also a donation to HSUS in there. . .
MoSenateRace: looking at the report, I can see no contribution to HSUS. I think you are confusing HSMO for HSUS and from my knowledge, these are two different organizations. For the record, I was just having some fun with the "handsome" comment. I think Paul is right. I could find no connection between HSUS and HFA. And there's certainly no evidence in the 990-PFs that Brunner donated to HSUS.